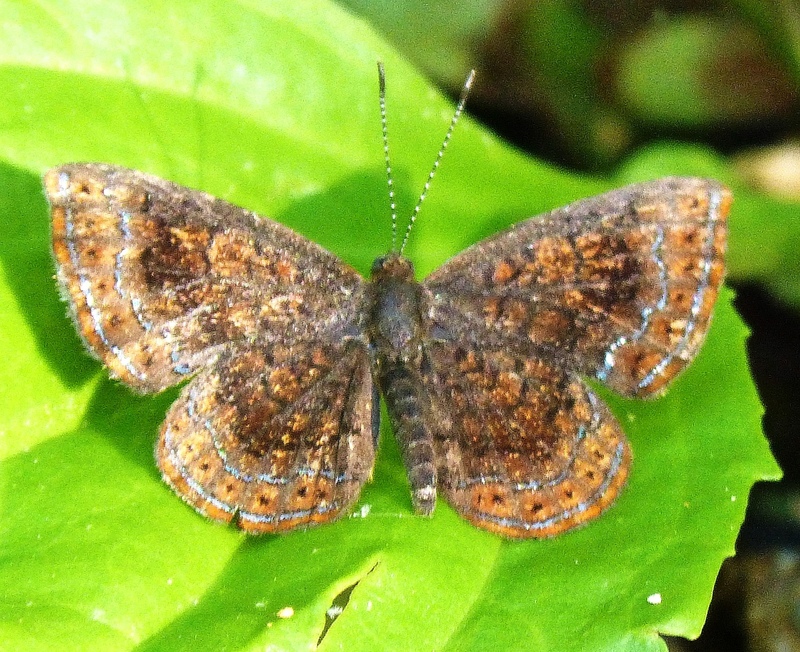 Identification: Male forewing rounded. 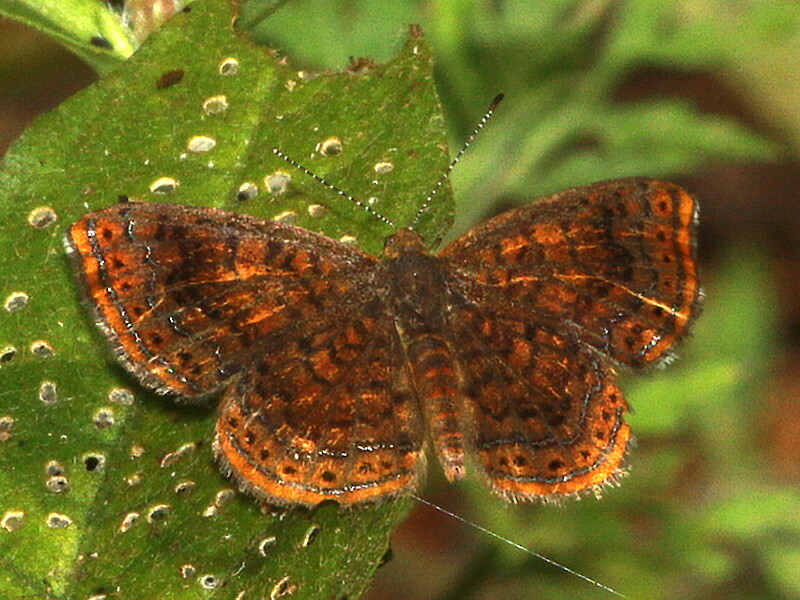 Upperside of both wings brown with wide orange borders and dark median band. Life History: Adults may rest upside down beneath leaves. 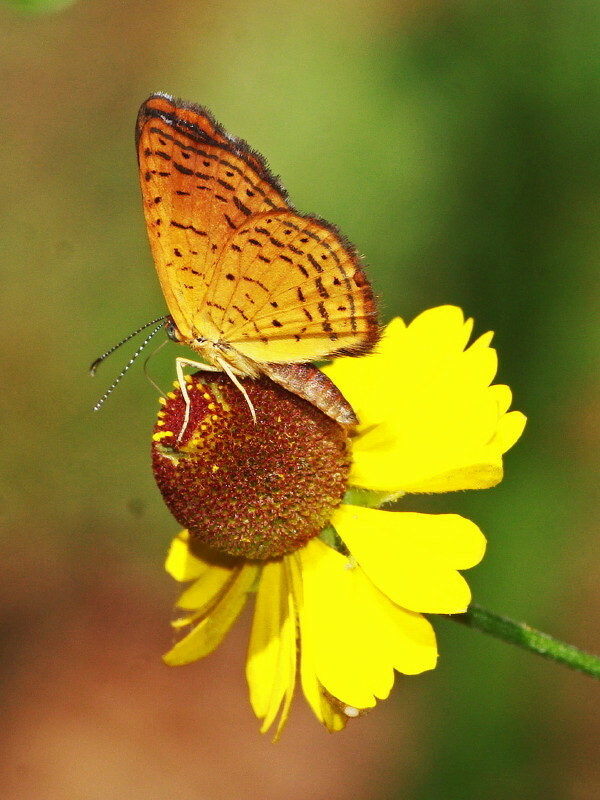 Males perch on leaves to seek females. Eggs are laid on the underside of host plant leaves, which the caterpillars eat. Half-grown caterpillars hibernate in leaf litter. Flight: One brood from mid-June to late July. Caterpillar Hosts: Roundleaf ragwort (Senecio obovatus); possibly golden ragwort (Senecio aureus) and common fleabane (Erigeron philadelphicus). 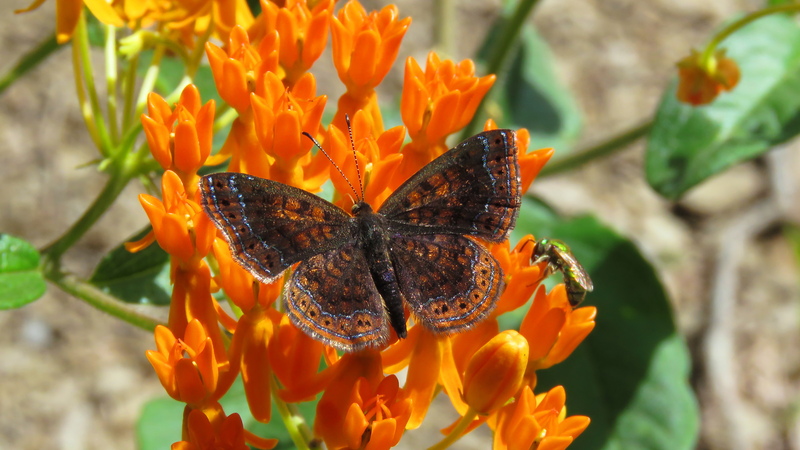 Adult Food: Nectar from flowers including butterflyweed, white sweet clover, goldenrod, ox-eye daisy, sneezeweed, and yarrow. Habitat: Open woodland streams near serpentine, shale, or limestone barrens. Range: Western Connecticut south through west-central Pennsylvania; central Appalachians and Ohio River Valley. Isolated populations in southwest Missouri and eastern Oklahoma. Conservation: Most populations are small and isolated. Almost all populations should be of concern.